A short drive from Murasaki Mura are two caves with historical significance: Chibichiri Gama and Shimuku Gama. These caves were used during World War II and now provide a glimpse into what happened in the early days of the Battle of Okinawa. On April 1, 1945, as the U.S. military arrived on Yomitan Village’s coast and the initial battle took place, the village saw a total of 740 casualties in that month alone, according to a report by the Okinawa Times. Chibichiri Gama is a cave with a sad history. As American forces approached, 140 villagers evacuated to the cave, and of those, 83 died as a result of a mass suicide, according to Yomitan Village’s Tourism Association. Because they believed Americans were “kichiku” (Japanese for evil), they decided this was the only alternative to surrendering. After the war, a stone monument was erected to pay tribute to the deceased. The public can visit, but only the outer part of the cave as entry is prohibited. The other cave, Shimuku Gama, also has a history, but one in which the fate of the villagers who sought shelter in this cave was quite different. 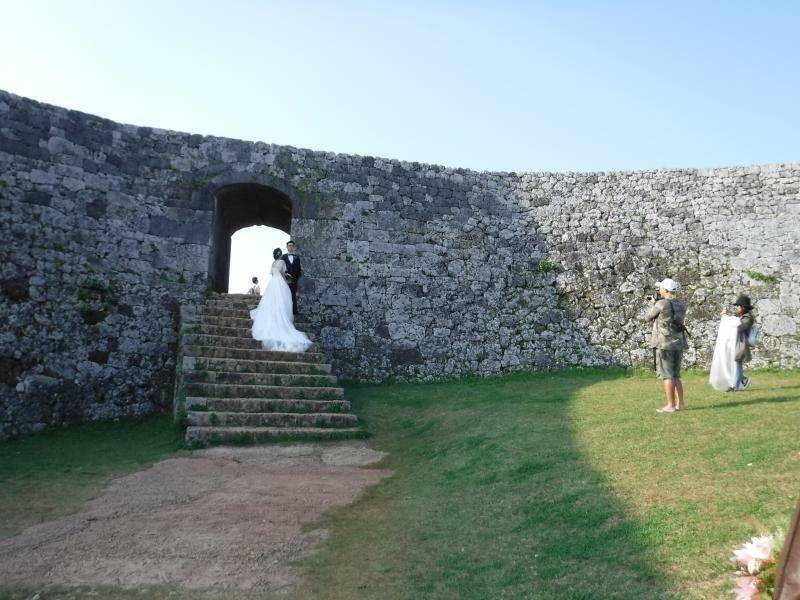 According to an article by Okinawa Times, about 1,000 villagers took shelter in the cave like those in Chibichiri Gama. However, two Okinawans who had spent time in Hawaii, alerted the locals in the cave that “Americans don’t kill people,” thus encouraging them to surrender. Visitors can enter Shimuku Gama but make sure to wear athletic shoes and exercise caution. The difference between life and death marks these two similar caves as worlds apart and 74 years later, continue to serve as a reminder of a tragic time in our shared histories. * Chibibichiri Gama has a parking space nearby. * The inner part of Chibichiri Gama is off-limits. * Shimuku Gama is near a local residential area. No parking space is available. * Both caves have streams and when it rains, the water level can rise. Inside Shimuku Gama, it is advised to wear sports shoes and carry a flash light and gloves.